Posted on November 10, 2014 by Karin Shibata Posted in Foodipedia	. Les différents types de gâteaux de type génoise ont une base commune. Les ingrédients principaux sont les œufs, le sucre, la farine et parfois de la matière grasse et de la levure. The classical foam cake with eggs (usually foam method), vegetable oil, flour and baking powder. History: Invented in 1927 by a Los Angeles insurance agent and sold to Hollywood stars. The novelty was the use of vegetable oil instead of butter. A foam cake without vegetable oil or butter. History: The first recipe of the sponge cake is found in 1615, in Gervase Markham, an English poet book, The English Housewife. Or how to be a complete woman 😉 It is believed to be one of the first non-yeasted cakes. 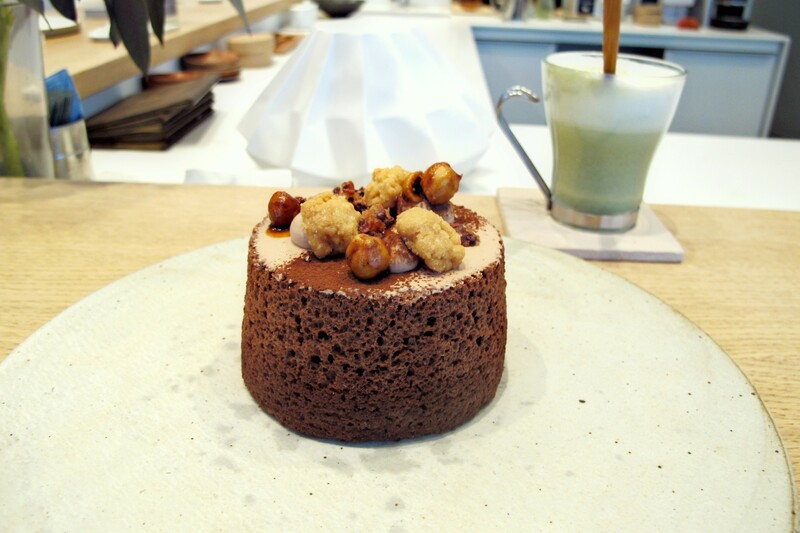 Chocolate and hazelnuts angel cake from Pâtisserie Ciel in Paris. History: Angel cakes became popular in US late 19th century and was a traditionally an African-American post-funeral meals. Result: Light, very airy, fluffy. Served with fruits, jam, jelly or cream in its center. This French version of the sponge cake doesn’t contain fat and eggs are beaten separately. It often uses potato or corn starch. result: Light, airy. Served warm of cold with French jam. History: Probably one of the first French cakes. It was ordered in 1358 by the county Amédée VI of Savoy for the visit of the Emperor Charles IV of Luxembourg. To please the emperor a cake light as feather was asked to the cooking chef (maître queux) Pierre de Yenne. The Italian foam cake contains butter and eggs are beaten whole. Result: More consistent texture. Often used in composed or layered cakes.